Fashioned from a combination of Aquatica’s premium materials, Infinity’s circular symmetry is enhanced by the infinity-type rim channel, which allows you to fill this bath right to the top. Infinity’s unique ultra-quiet water circulation and its heating and air massage system, invites you to lie back and feel the tension and cares of your day simply wash away. Its generous dimensions make it ideal for full body soaking for one or two bathers. Inside however is where Infinity really shines. Every aspect of its design makes your bathing experience absolutely blissful, from the constant hot water temperature to the air massage system, LED lighting and wireless remote control of all functions. 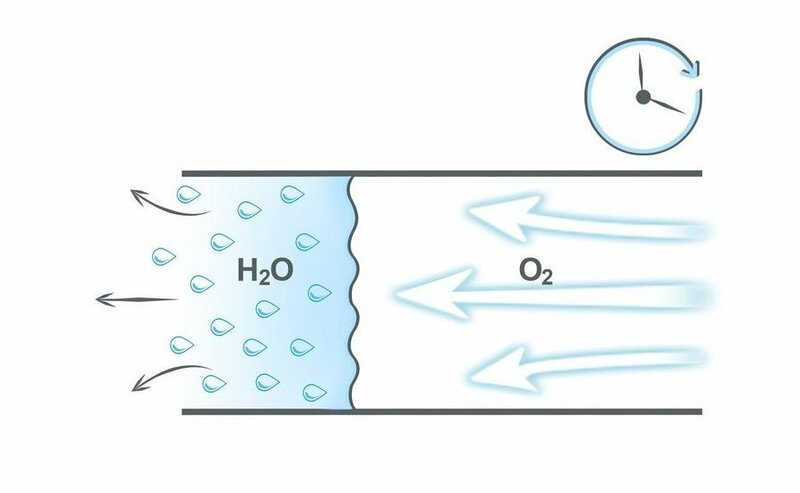 The pre-installed Tranquility heating system eliminates cooling bath water. Simply set the desired temperature and the powerful heating element will maintain the water at that level (temperature control is available only for the International and US 240V model). 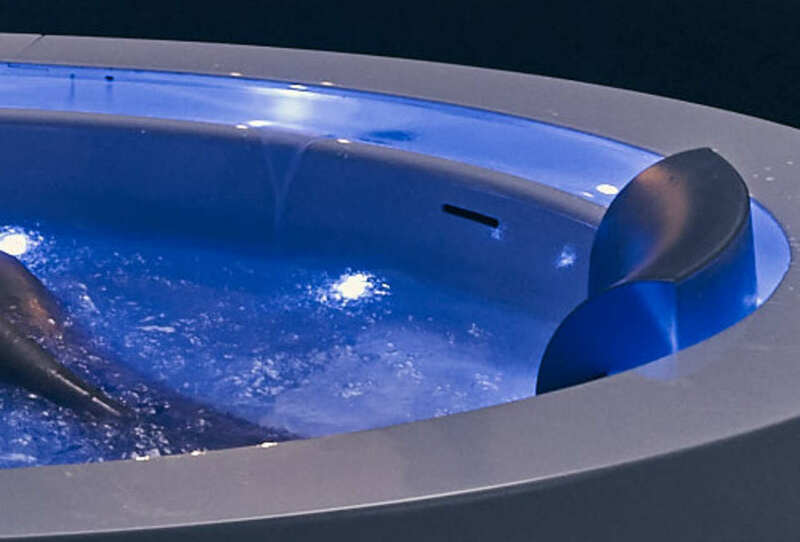 The water is circulated and heated continuously, pouring back into the bath waterfall style through the ring channel. Set your lighting mood and enjoy the balance and harmony of chromotherapy with Infinity’s twenty-four lights, twelve underwater and twelve in the top channel. Choose from pre-programmed light shows including color washes, randomly changing colors, fixed colors and cross fades. With Infinity’s air massage system, you’ll be able to truly relax and unwind. 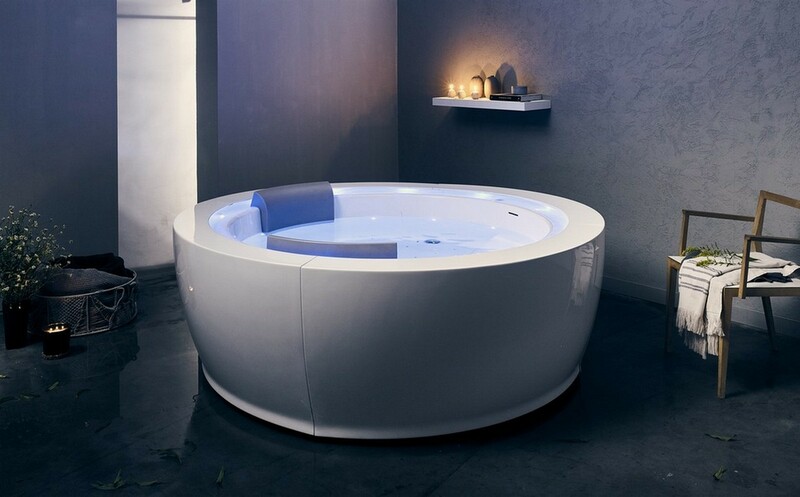 The 45 jets situated in the base of the bath provide a stream of air bubbles to massage and caress the body. Dozens of LED lights create that special tranquil atmosphere and turn your bathtub into oasis of relaxation and rejuvenation. Let the constant waterfall effect work its magic. Lie back and enjoy the soothing sight and serene music of warm water, circulated by our ultra-quiet heating system. The 3D-printed, double overflow opening allows maximum water depth and a smooth, minimalistic and unobstructed basin design. Unparallelled bathing comfort is provided by the optional custom-made memory gel headrests which are designed specifically for the Infinity R1. 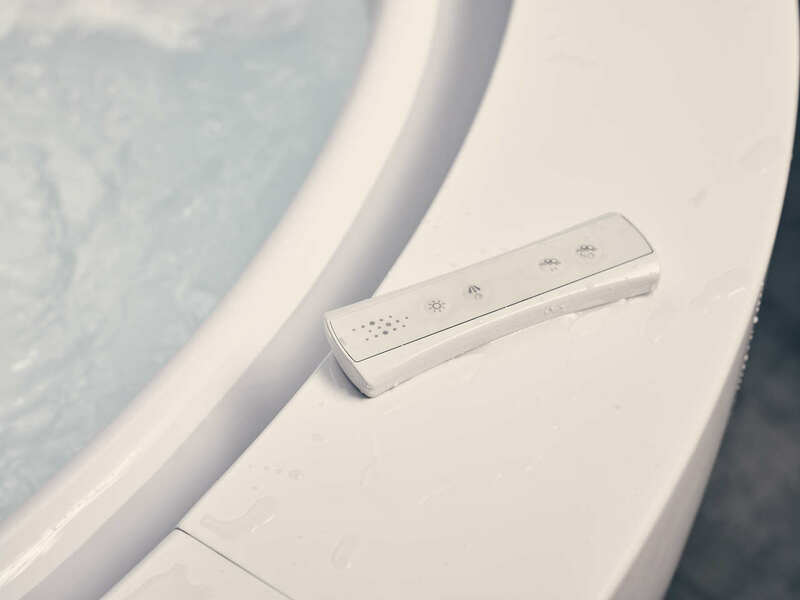 All functions are controlled by the streamlined, waterproof RF remote control unit, leaving the bathtub free of any keypads or other obstructions. One ‘must-have’ optional accessory for your beautiful Infinity R1 Heated Therapy Bathtub is our wonderfully comfortable, ergonomically designed Infinity R1 headrest. Crafted by hand in Italy, this headrest uses the latest ‘memory shape’ polyurethane gel molded to support and rest the neck and head in utmost comfort.